The installation of a gutter protection system on your home in Lincoln, Nebraska, or another surrounding area, will be your first line of defense against unwanted water damage to your home. The gutter cover experts, Waddle Exteriors have been in the area since 1978 and our expert staff of installers understands the importance of installing a gutter protection system onto your gutters. 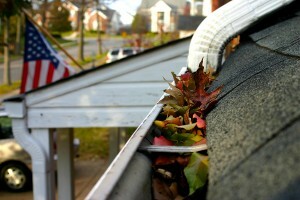 For example, in the majority of our area, homeowners suffer from issues such as leaves, sticks, and pests, causing blockages in their gutter systems. This will in turn result with the flow of rainwater being completely stopped in your gutter system, leaving you with gutters full of nothing but standing, murky, water. If overflowed, this water can cause serious damage to not only your gutter system, but also your home, including serious damage to your roofline if they should collapse, and issues such as mold, mildew, or other forms of water damage, to the side of your home, when the gutters begin to overflow. If you’re ready to learn more about having a gutter protection system installed on your home, give Waddle Exteriors a call today. We proudly serve residents of Lincoln, NE, and many other nearby areas.